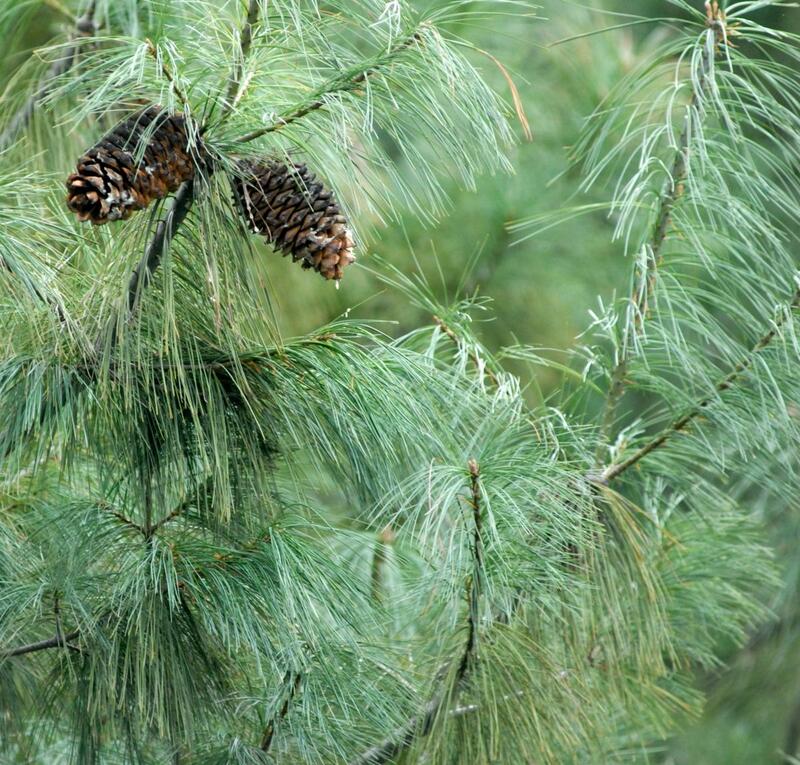 Pinus armandi is one of the most beautiful of the Asiatic Pine species with delicate glaucous long hanging needles. 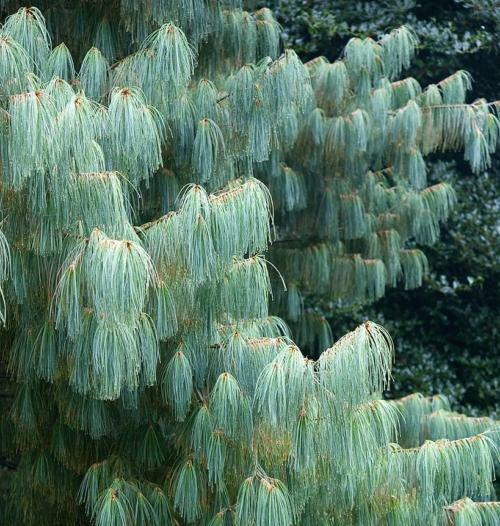 A very decorative moderately sized tree, attractive for its fine foliage and ornamental fruiting cones. 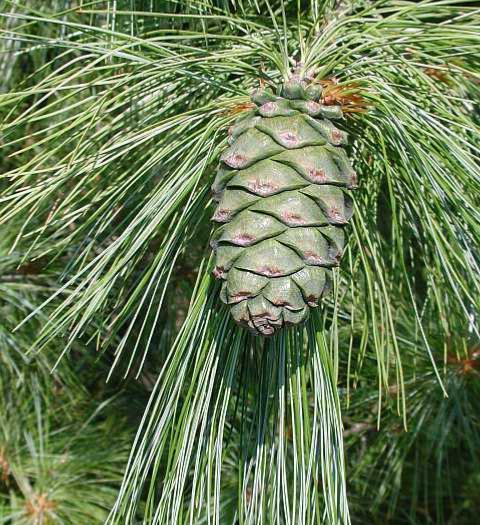 Pinus armandi (familyPinaceae), the Armand pine, David’s Pine or Chinese White Pine, is a species of pine native to China, occurring from southern Shanxi west to southern Gansu and south to Yunnan, with outlying populations in Anhui. It grows at altitudes of 2200–3000 m in Taiwan, and ita lso extends a short distance into northern Burma. In Chinese it is known as"Mount Hua Pine". The scientific name commemorates the French missionary and naturalist Armand David, who first introduced it to Europe. Father Armand David, also known in common names by the French Père David, was a Lazarist missionary Catholic priest as well as a zoologist and a botanist. Father David was one of the first westerners to explore China, and so many plants that we today enjoy were discovered during his missionary duties there. Many plants have been named in his honour, none more deserving than the Dove Tree, Davidia involucrata.